Deception, fraud, claims, cases, law, consumer resources. The New Jersey Attorney General filed a lawsuit against two “Buy Here-Pay Here” auto dealerships and their owner for allegedly unconscionable and deceptive lending practices. Have you been deceived in a used car transaction. 2. Assuming that justice will be done. Many scheme continue with skilled counsel, until the collapse finds limited funds and unpaid claims. The skilled SEC believed Madoff and not his accuser. Simply because a wrong has been committed do not assume that the Court will address it; you need to prove your claim clearly and convincingly. CALL FOR A FREE CONSULTATION TO DISCUSS HOW WE CAN HELP YOU STRENGTHEN YOUR CLAIM. 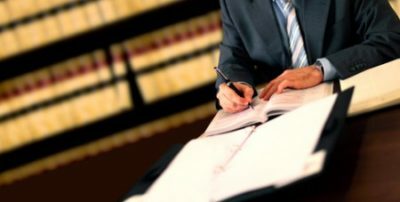 This site contains material about laws, cases, and claims under the lemon law and other statutes. We offer a free telephone consultation so please contact us if you are having problems with a defective vehicle. Here is an overview. “I think my car is a lemon.” Many consumers have checked mileage and time periods but unfortunately there is more. In practice, the law requires proof of a defect or problem — simply saying you are dissatisfied or worried about the car’s safety or reliability may not be enough. In New Jersey administrative claims, an expert may be needed; otherwise, the manufacturer will presents its own representative to say the car is performing within specifications, no codes display, and the problems alleged involve characteristics of the car. If the problem has been fixed, the case will lose in the lemon law administrative court and should be settled or filed elsewhere. “I have a defective car, but checked and I don’t meet lemon law guidelines.” You may still have a claim because there are a number of laws that can apply. The New Jersey Consumer Fraud Act prohibits deception, fraud, and unconscionable conduct. Express warranty claims involve the failure of the company to perform the warranty it provided. Unless a car was sold as-is, there is an implied warranty that the car is reasonably fit.